Tobacco has been such an important part of Hahira’s history that they even had a newspaper called the Gold Leaf for many years. 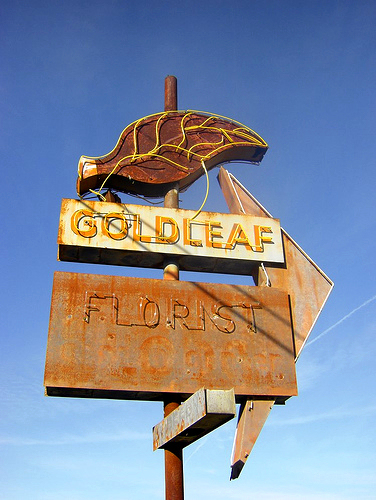 This florist’s sign just outside town has been a landmark to travelers on Highway 41 for many years. Apparently, the business closed in the 1980s. I’ve seen suggestions that there may have been a motel here at one time, and ghost letters in the sign may or may not support that fact. 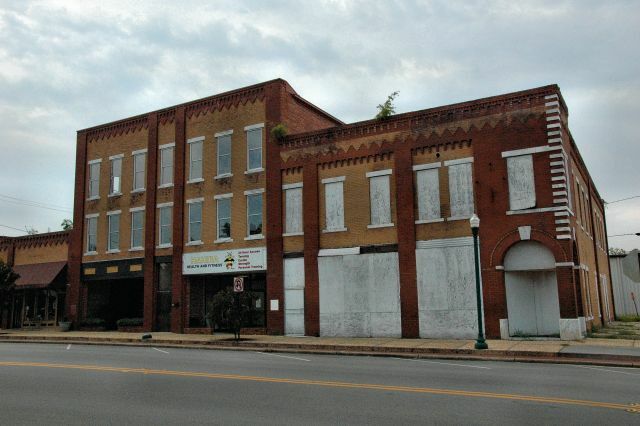 I’m told the sign has been removed, as of 2015.